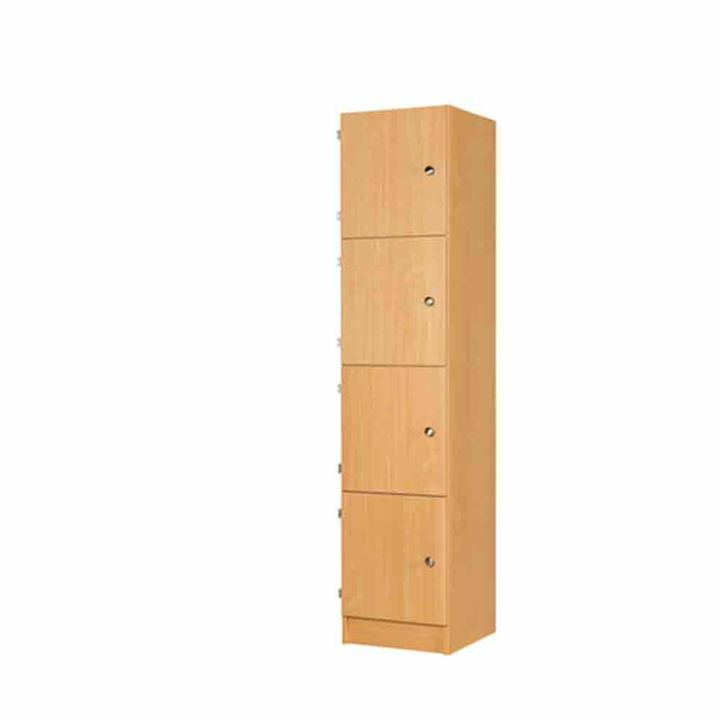 Timber effect lockers are ideal if you are looking for a storage locker that looks stylish and modern but is also strong and long lasting. 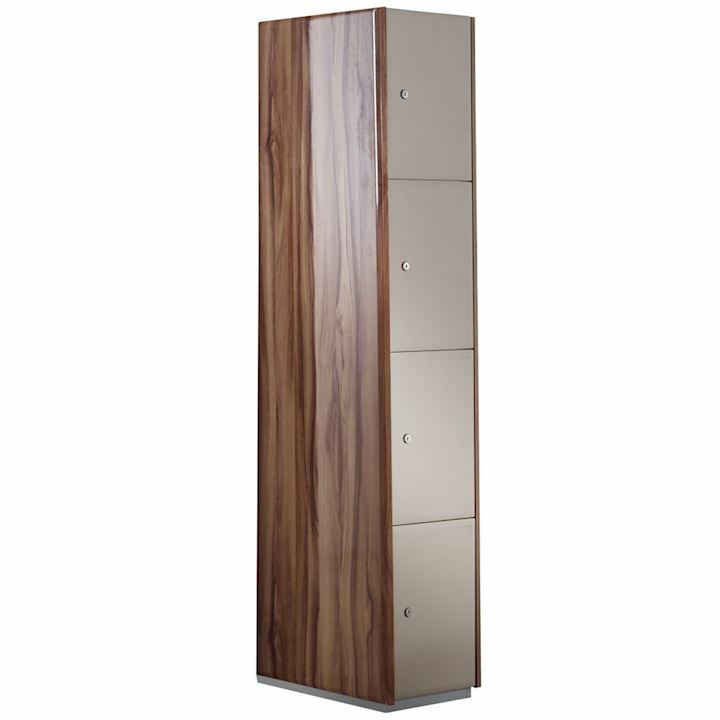 Our timber effect lockers combine the strength of metal lockers, along with a laminate MDF door. 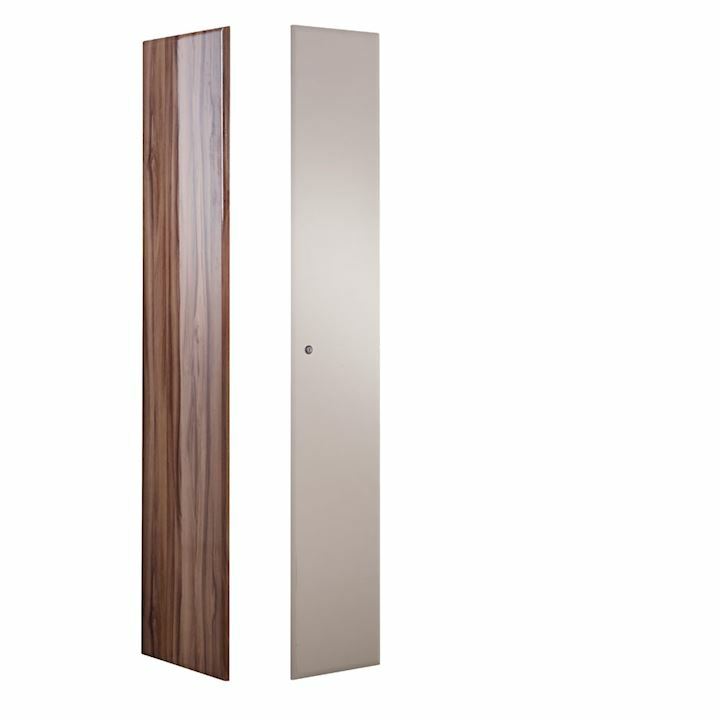 The timber effect doors are scratch and graffiti resistant. 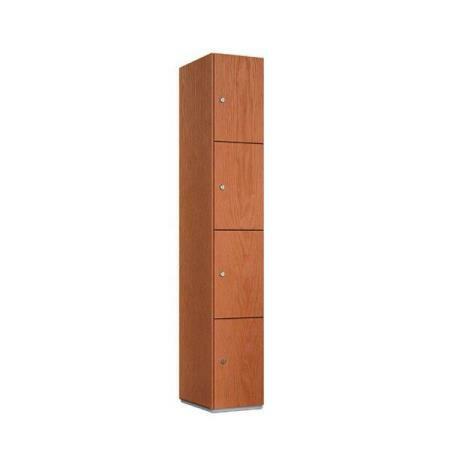 Therefore their appearance will stay in a good condition longer than metal lockers. 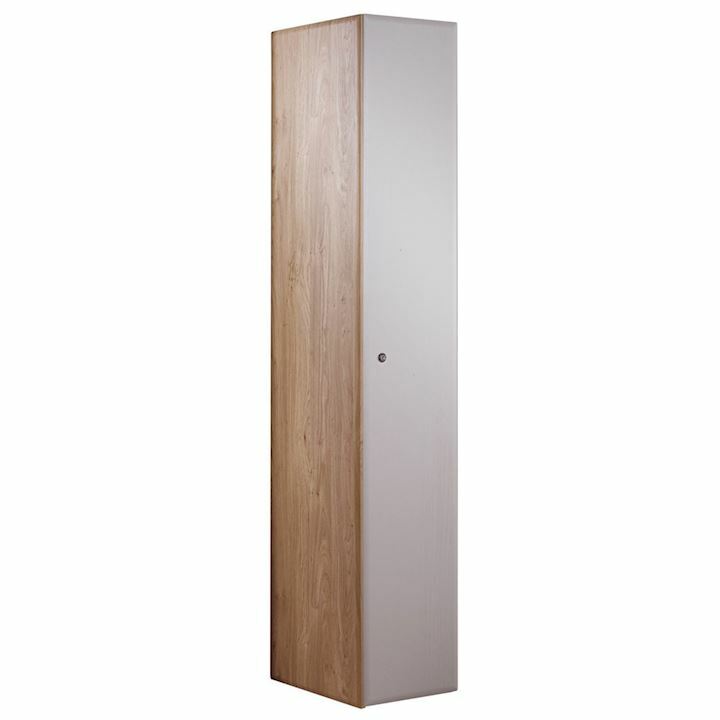 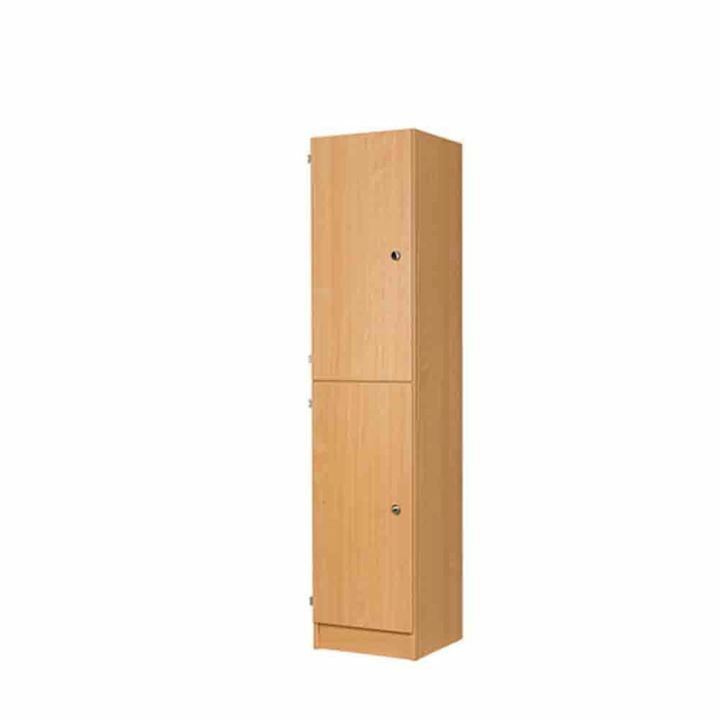 The single and two door timber locker comes with a hat shelf and double coat hook. 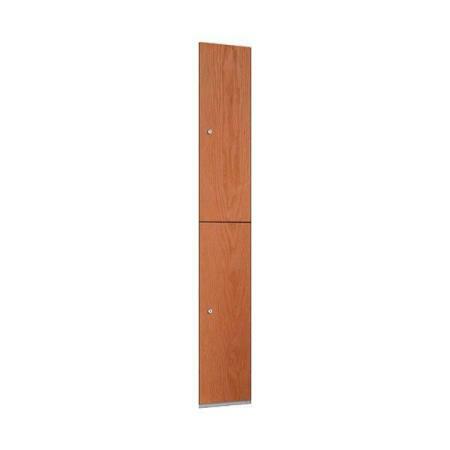 Hang spare garments neatly, along with a shelf to separate personal items. 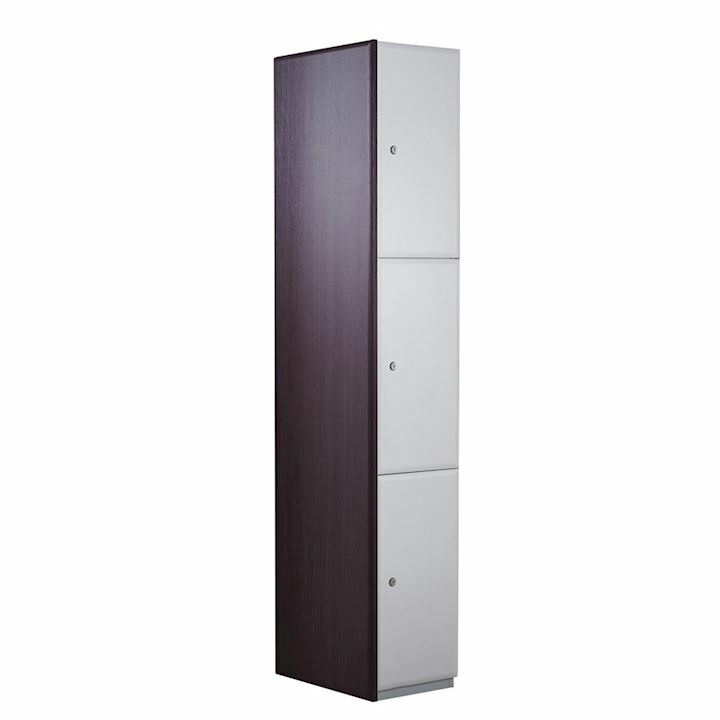 Micro sprung disc locks with two keys are also included with each locker. 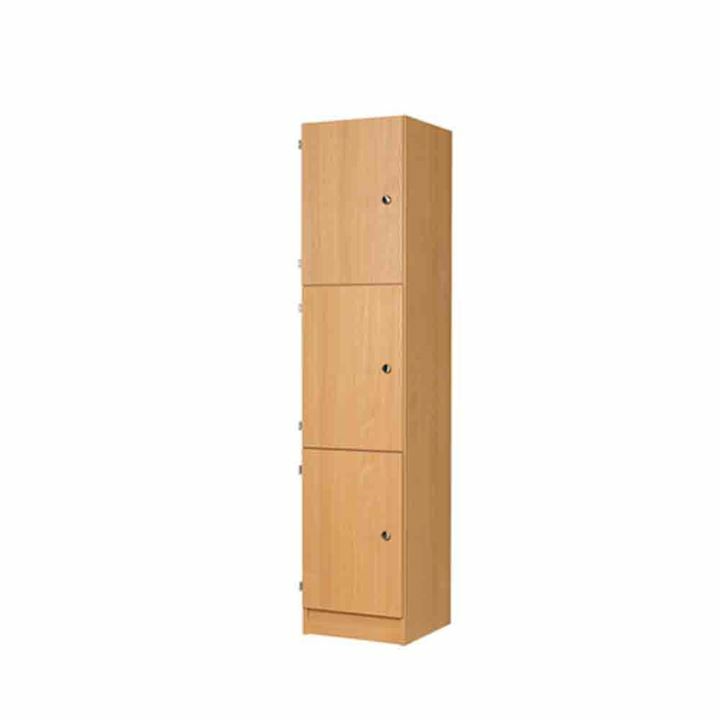 However a range of other locking options are available to select at our checkout. 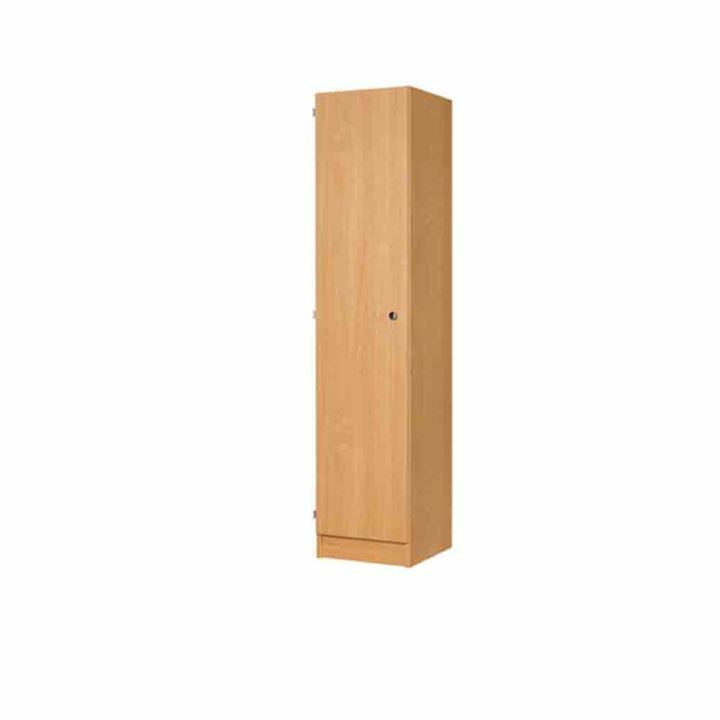 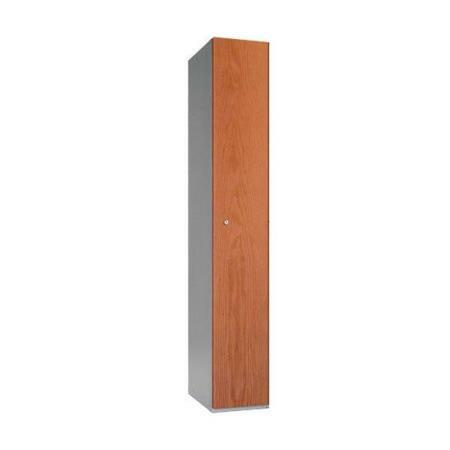 Contemporary timber face lockers would make ideal gym lockers, sports lockers or changing room lockers. 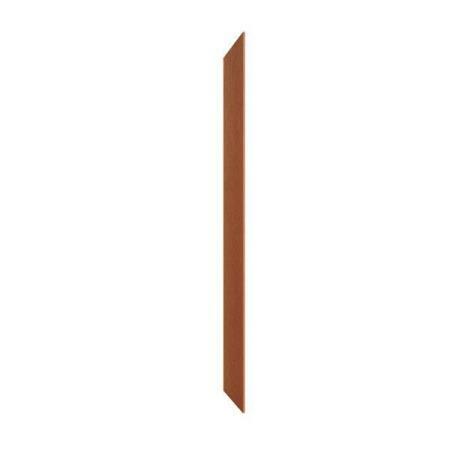 A selection of attractive wood effect colours are available. 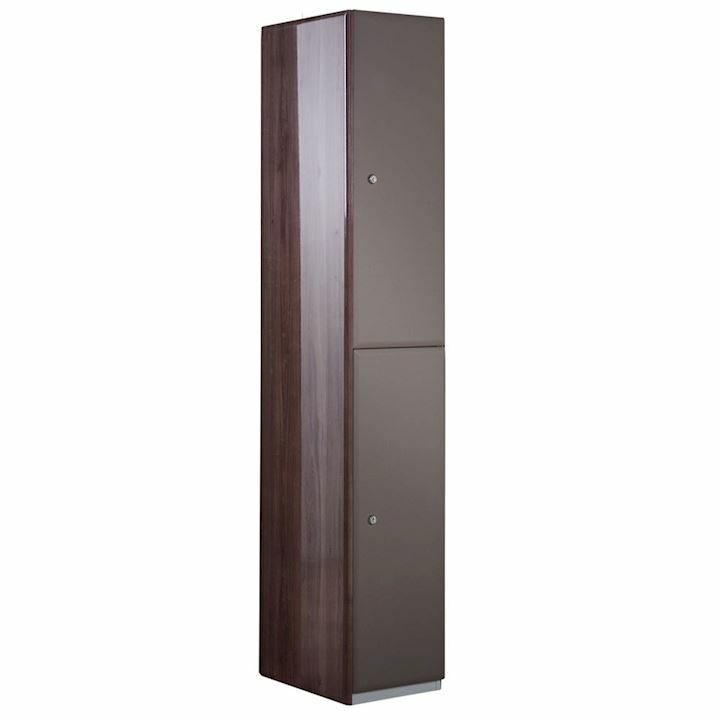 Any would suit a modern environment where appearance is of high importance.